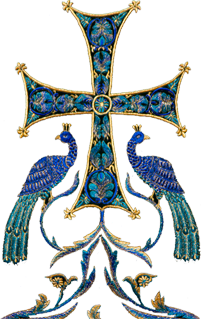 Today, July 25, 2017, marked the thirtieth anniversary of the repose of the ever-memorable Archbishop Seraphim (Ivanov), the beloved founder of Organization of Russian Orthodox Pathfinders (ORPR). 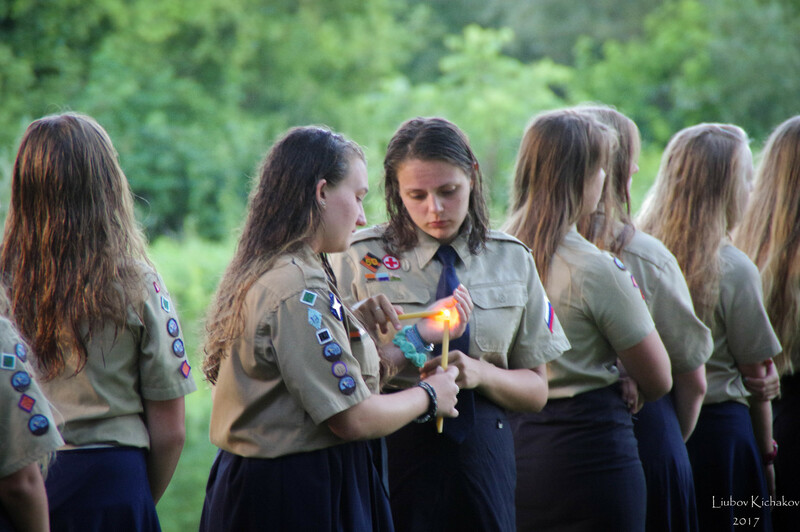 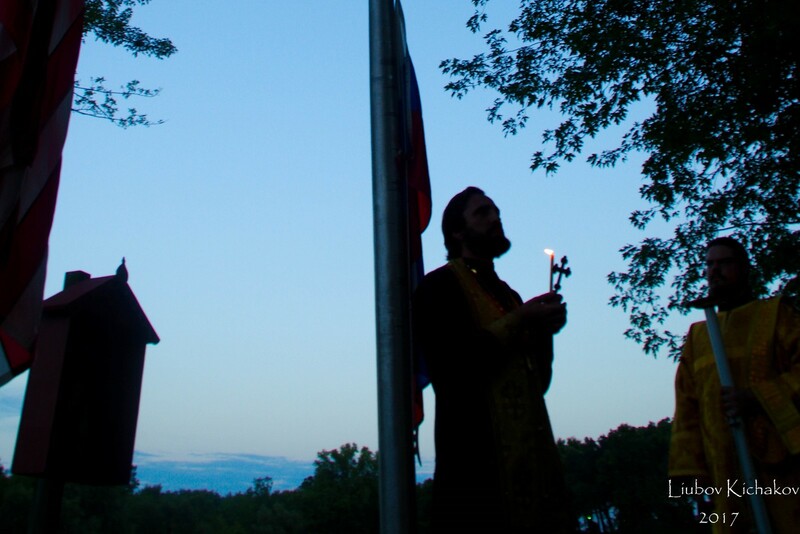 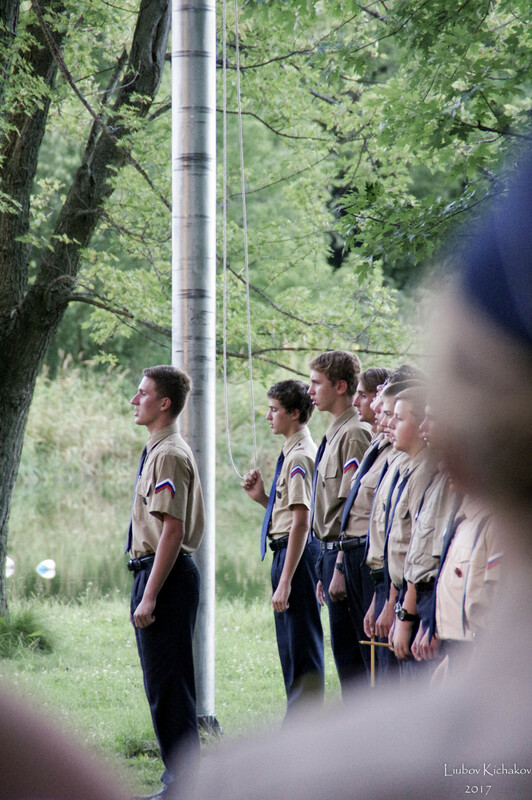 As the sun was setting, the campers gathered together to lower the flags and prayerfully commemorate Archbishop Seraphim and all the members and benefactors of the organization who have fallen asleep in the Lord. 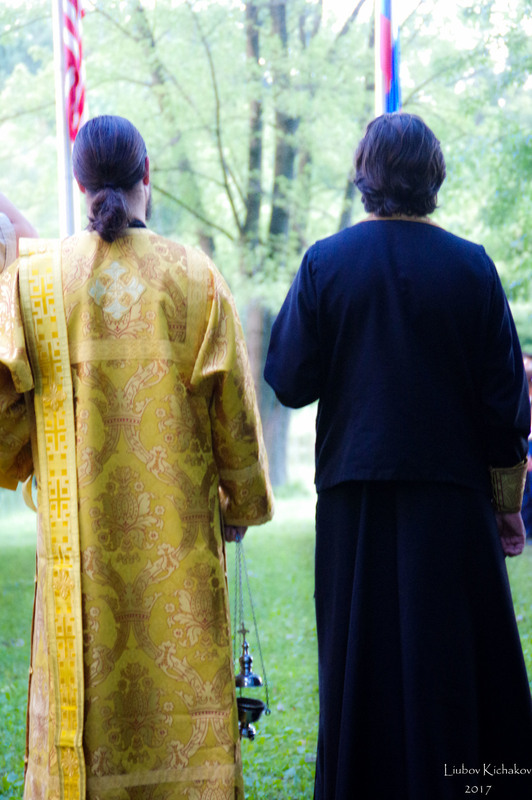 Archpriest Vasyli Kuzmych, rector of Holy Trinity ROC in Milwaukee, WI, led the panikhida. 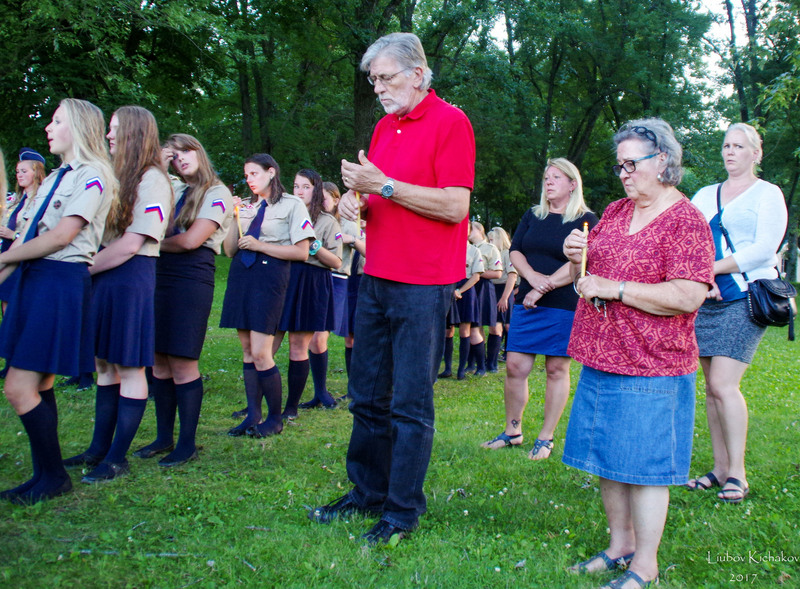 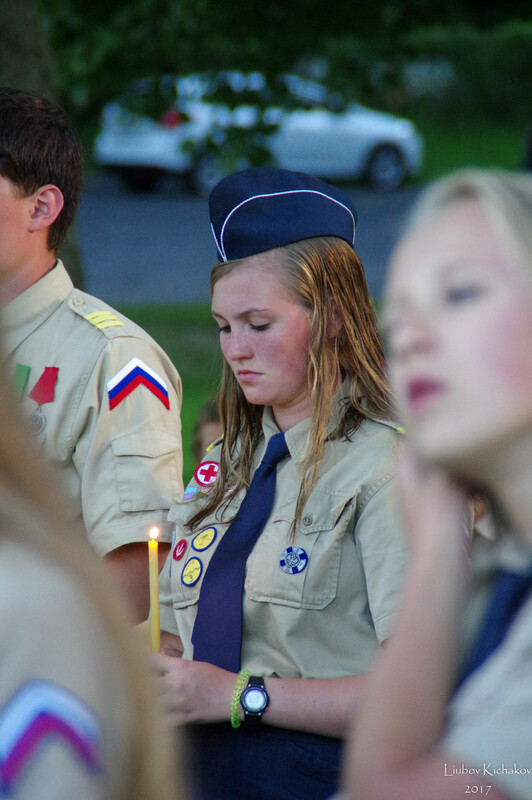 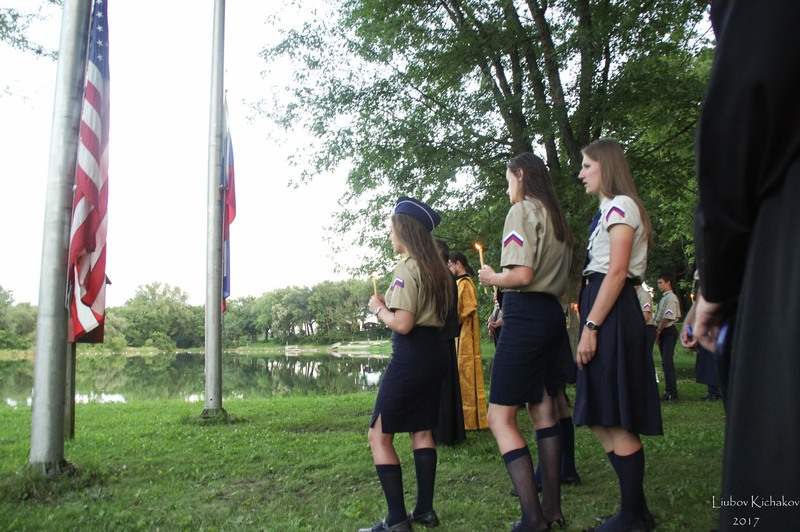 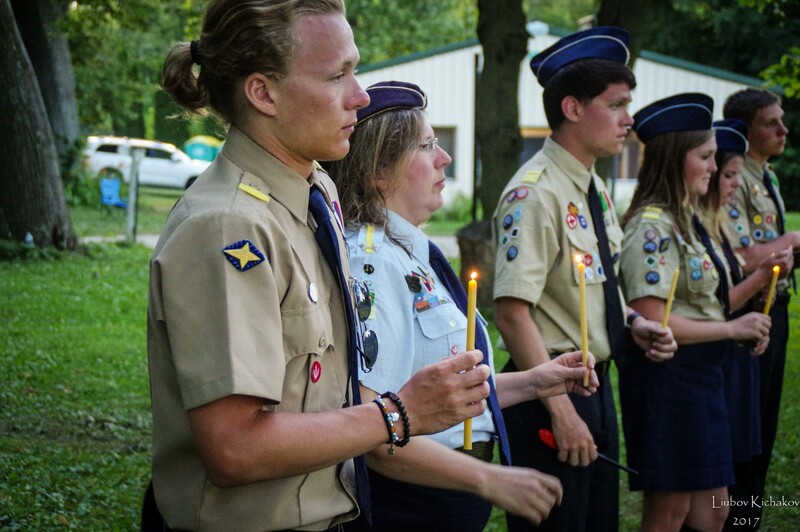 Clergy from Holy Virgin Protection Cathedral in Des Plaines and residents of the Vladimirovo-Lost Lake community joined in the campers for the memorial service. 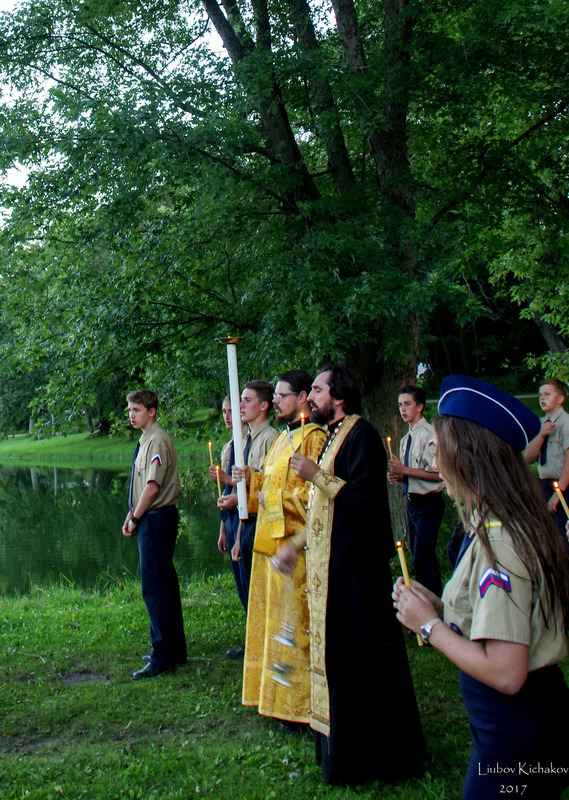 Following a successful Diocesan Youth Conference in 1960, Archbishop Seraphim established the Organization of Russian Orthodox Pathfinders (ORPR), and found and purchased land in a rural area 100 miles west of Chicago for the establishment of a children's summer camp to be operated by the ORPR. 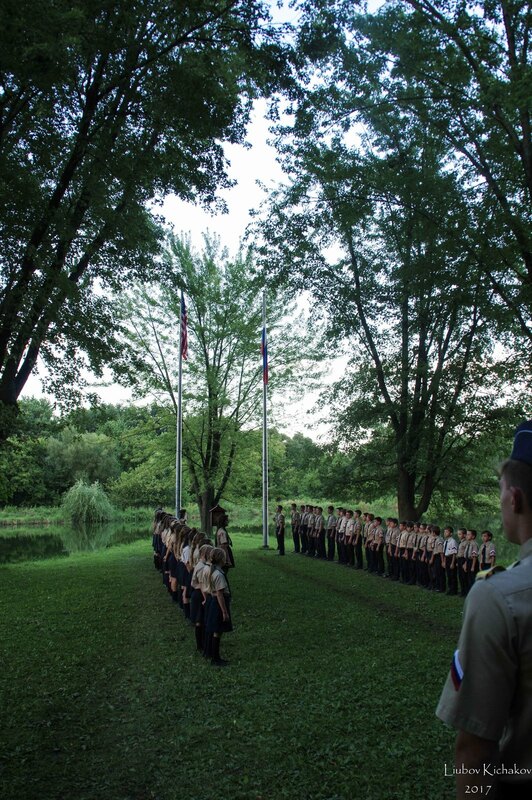 The property was named "Vladimirovo," and today is home not only to the ORPR Summer Camp, but also to Saint Vladimir's Parish, and a 'Russian Village' of retirement and summer homes. 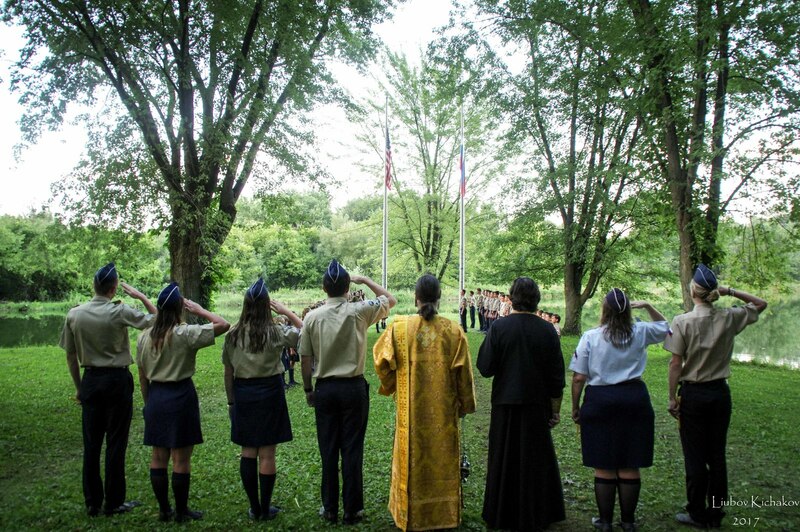 Archbishop Seraphim had a great love for youth, and for the Summer Camp he founded. 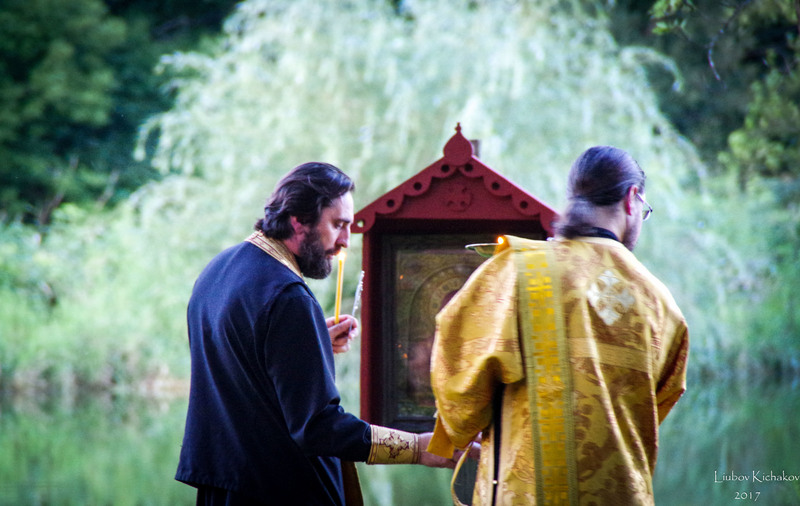 He spent every summer at Vladimirovo, celebrating the Divine Services for the Camp, and instructing the children in the Holy Orthodox Faith. 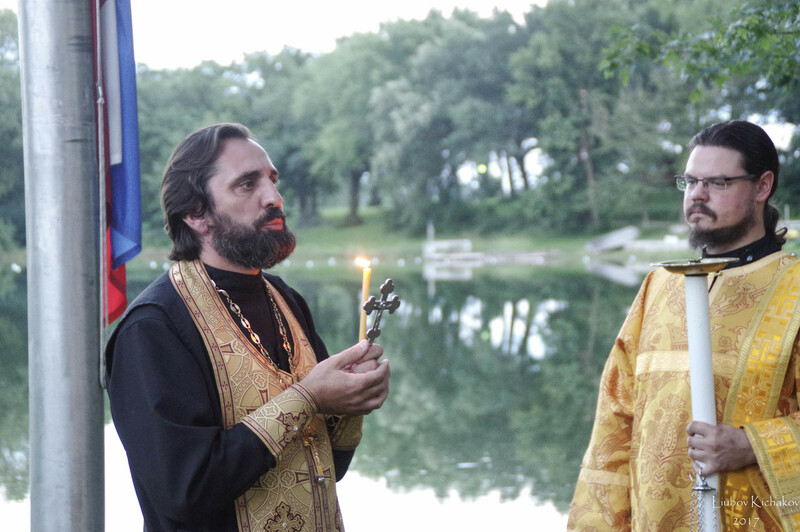 Due to his love for and experience in working with youth, Archbishop Seraphim was appointed by the Synod to oversee work with youth for the entire Church Abroad. 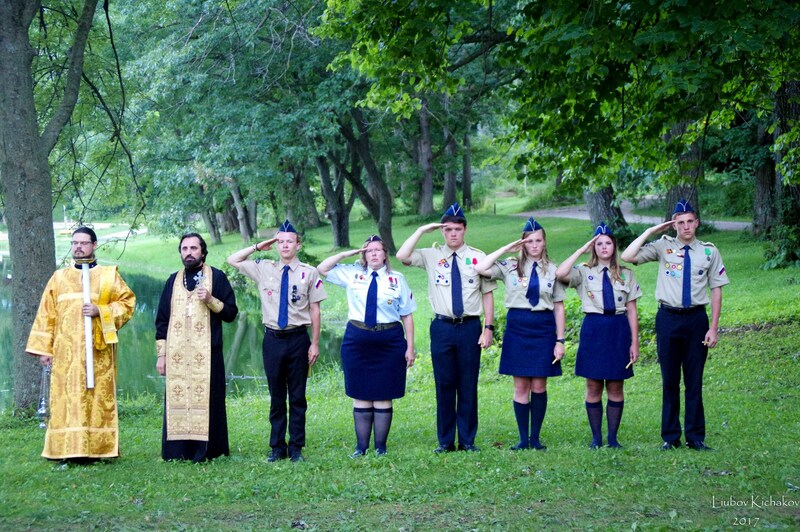 Archbishop Seraphim continued to be active at the ORPR Summer Camp until declining health and old age no longer allowed him to do so. 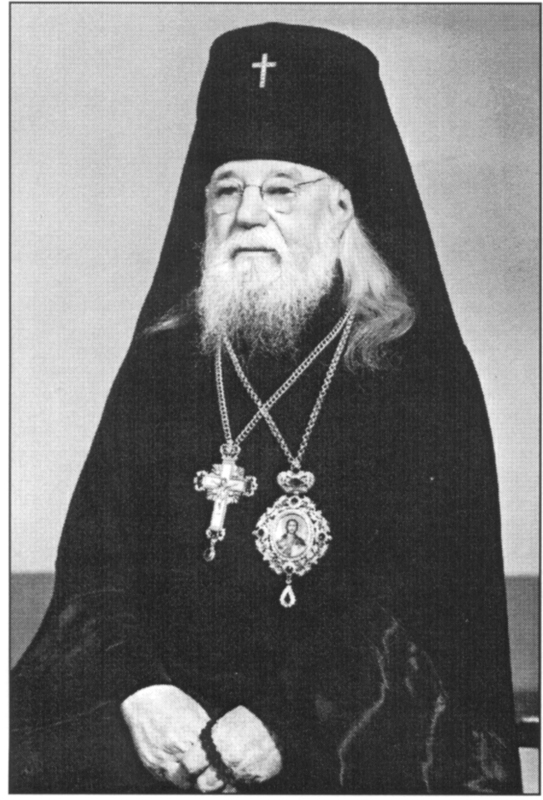 The Board of Directors humbly requests your prayers for Archbishop Seraphim and all of our loved ones. 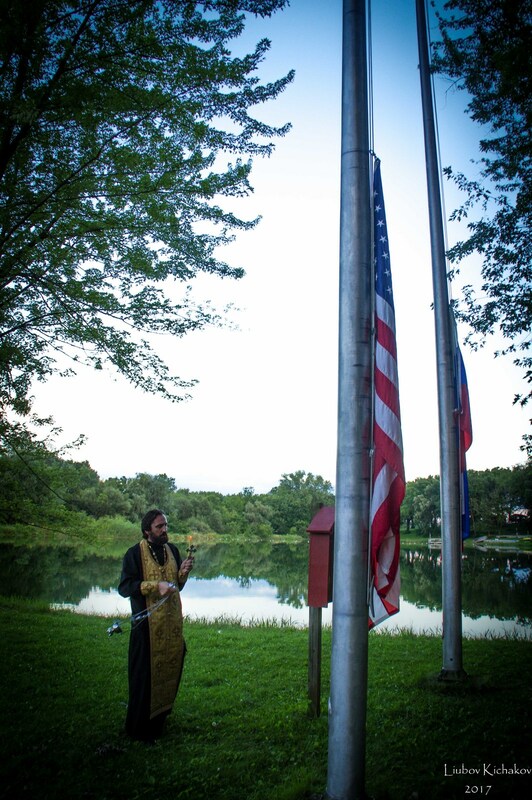 May our Merciful Lord grant them rest with the righteous, and may their memory be eternal.